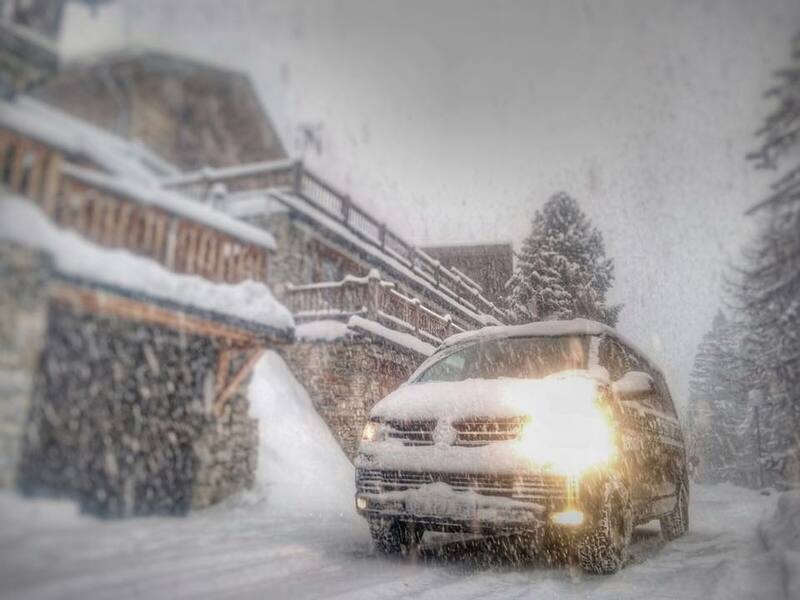 When looking to travel from Geneva airport transfers to Tignes we recommend you use our private transfer service. It’s by far the most relaxed and comfortable way to travel. You can pre-book our service online and receive an instant confirmation of the travel plans. The day before you travel our system will send you an automated email and SMS giving you the confirmed meeting time and the drivers direct mobile number. Once you have landed and collected your luggage our driver will be waiting with a sign with your booking name on, he/she will help you to the vehicle and get you on your way. Our private transfer service gives you sole occupancy of one or more of our comfortable Volkswagen Caravelle minibuses. The route from Geneva airport to Tignes takes you onto the Swiss toll roads for around 20 minutes. All our vehicles have the Swiss road tax to take advantage of using the most direct route. Once in France you will head in the direction of Lake Annecy. Annecy is a beautiful town nestled next to one of Europe’s cleanest alpine lakes (Lac Annecy) and a great place to spend a weekend if you get the chance. It’s a popular stopping point and if you have time a wonderful place to visit. We often collect customers from Annecy as it’s a great stopping point on route to the Alps and only 30 minutes from Geneva thanks to a recent improvement in the roads. The next town you reach is Albertville home of the 1992 Olympics and when many of our local resorts where used to hold events. Courchevel, La Palgne, Les Arcs, Les Menuires, Tignes and Val dIsere all did their part, Albertville itself held the opening and closing ceremonies as well as the figure skating. After Albertville you reach Moûtiers the gateway to the Tarentaise valley. Moûtiers gives you direct access the the 3 Valley ski area. Méribel, Courchevel, Les Menuires and 3 valleys. But we are heading onto Bourg St Maurice the largest town in the Tarentaise Valley. Known as Bourg to locals is the shopping centre and is the regular hang out of hordes of chalets hosts stocking up their chalet kitchens at Super U. The Eurostar also reaches the end of the line here so if you decide to snowtrain it into the Alps this is your last stop. From here its possible to hire Mountain Rescue to collect you and whisk you up the hill to your accommodation. Transfer time from Bourg to Tignes is about 45 minutes and this is the point you start to climb into the mountains. Passing Seez and St Foy Tarentaise, one of our vehicle hubs you really start to get the ski holiday feeling, this part is usually covered in snow and the roads get windy. 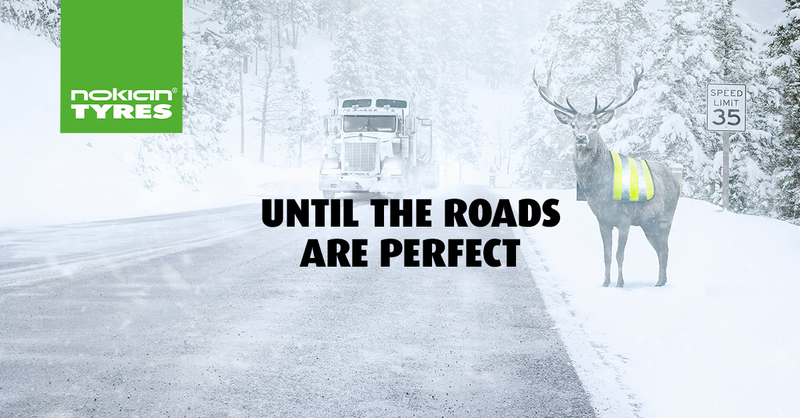 Don’t worry, our vehicles are ready for it, we partner with Nokian Tyres to get the best possible winter tyres and our drivers are all experienced professionals. You reach Tignes Les Brevieres first, the oldest part of the Tignes ski resort Tignes Les Brevieres sits next to the very impressive chervil dam, holing back a lot of very cold water. It’s a stunning location and the chalets sit on the side of the mountain giving cracking views of the pistes and imposing mountains. Tignes Les Brevieres is home to many great chalets and is a great spot for restaurants and bars to spend afternoon lunch in before you hop back on Le Sache cable car to head back over to Tignes Le Lac. Tignes Les Lac is situated at 2100 meters and is directly linked to Val d’Isere to make the Espace Killy ski area. Tignes Le Lac is a modern looking ski resort with all the facilities you need for a great holiday. Tignes Val Claret is a few minutes’ drive past Le Lac and again is a modern ski resort with mostly high rise blocks and modern architecture. 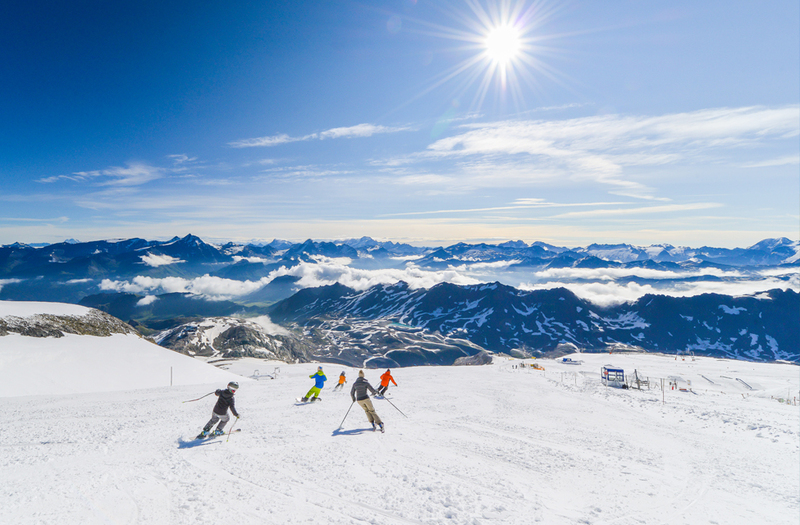 Tignes Val Claret give you direct access to the highest point of Tignes the Grande Motte topping off at 3100 meters! Overall the Tignes ski area has to be one of the best in the world it has skiing for every level and lots of it. It’s a lively entertaining place to visit with lots of bars, restaurants, event and big parties.